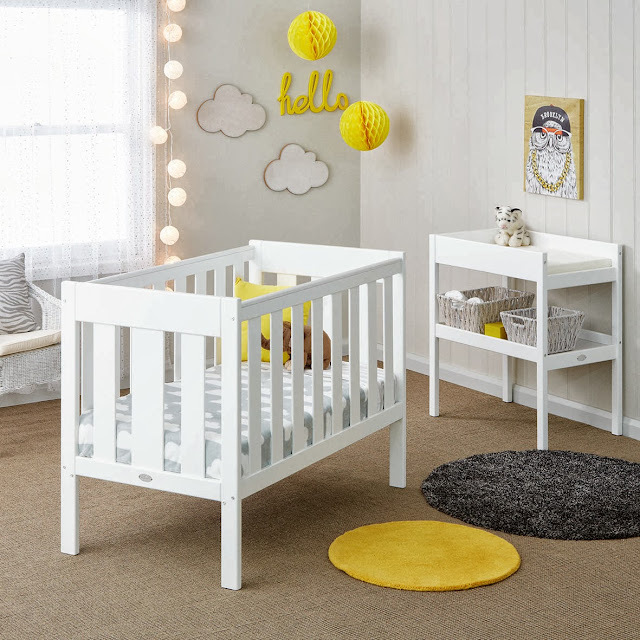 When looking for nursery furniture, there are three considerations in the minds of most parents. Form: is the furniture attractive? Function: will it be sturdy and comfortable? Price: is it value for money? The new range from Fantastic Furniture is both well-made and well-costed. There are two cots to chose from, including the Twinkle Cot, below, which converts to a toddler bed. Crafted from New Zealand pine, it's available in espresso or white, and coordinates with other pieces in the range, as well as some stylish accessories, such as the Candy lamp and Little Circus rug.